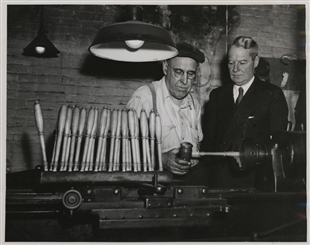 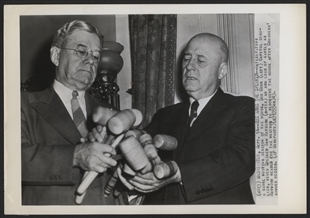 Gus Cook, (left) an engineer at the U.S. Capitol, hands over an armload of gavels to Speaker Sam Rayburn in anticipation of the House’s return from its 1943 summer recess. 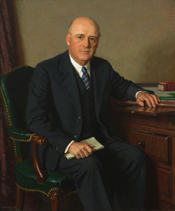 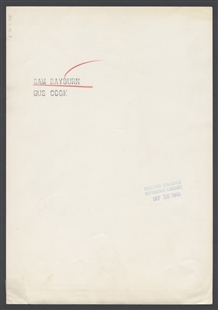 Rayburn was elected to the Speakership after the untimely death of William B. Bankhead and served in the position for 17 years—the longest serving Speaker in House history. 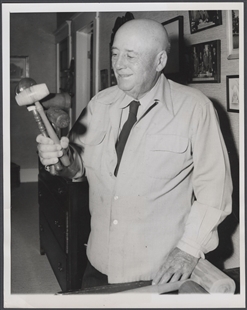 From the Blog: How Loud Is a Gavel?